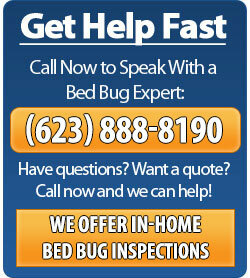 Bed bugs infestations are a major problem that many homeowners face. These pests are capable of a lot of damage, not only to your properties but to your health as well. You can pick up bed bugs anywhere – movie theaters, restaurants, doctor offices, stores, etc. Because of their microscopic size, bed bugs are able to conceal themselves and jump from one point to another without being noticed. They can stealthily attach themselves onto your clothes or bag as you get on a bus on your way to work, or they can latch onto your pet dog or cat while doing their business outdoors. 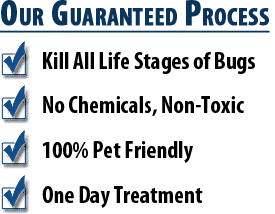 Once you or your pet enter the house, these bed bugs wait no time in finding the perfect place to build a nest, whether in a rug in your living room or in your favorite pillow in your bedroom. Selecting the perfect nesting place is not a task that bed bugs mull over. These blood-suckers can thrive in a wide range of conditions, hot or cold, dry or wet. The first thing to do the moment you spot a bed bug nest is to isolate the area. Make sure to also carefully examine every single object adjacent to the affected zone for bed bug traces. If you are not careful about isolating the area, contaminating other areas is very likely to happen. We recommend closing the door and putting a towel underneath the door. You also should get rid of clutter in the surroundings so as to eliminate options for bed bug hiding places. It is quite easy for these pests to escape and discover another breeding ground without you realizing it. 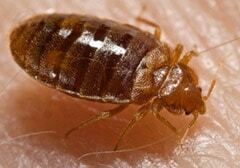 For bed bug infested mattresses and garments, washing in high temperature is recommended. Switch the machine to the hottest setting to effectively kill the adult bugs and their eggs. If there are open and exposed cracks and crevices in your home, fill them with caulk or fix them with sealants and moldings, as these tiny gaps can serve as entryways to bed bugs coming from the outside. 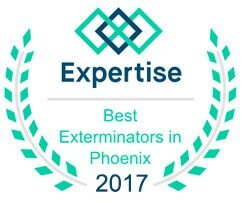 Next you are going to want to give us a call at 623-888-8190 to come out to provide you with a free inspection and estimate to get rid of your bed bugs. 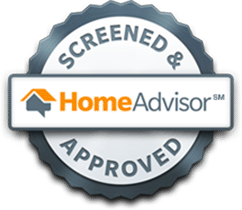 We will go over both treatment options with you (heat treatment and chemical treatment) and answer any questions you may have about either options.